Gryphon Ranch LLC is a 469-acre farm located in Globe, AZ. Ranch Owners Jim and Carol Ptak have been farming for 10 years and are members of the Gila County Cattlemen’s Association and Arizona Cattlemen’s Association. 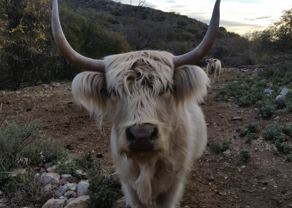 At Gryphon Ranch, they raise purebred Scottish Highland cattle. 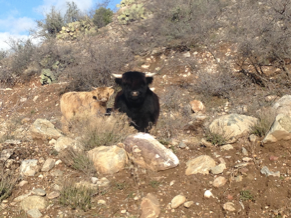 The animals spend each day grazing in the canyon area surrounding the farm. Jim and Carol believe that the happiness and welfare of the animals reflects significantly on the quality of the meat produced. 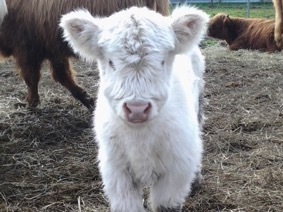 As a result, all animals are raised under Certified Humane standards and additional measures, including regular grooming and handling, are taken to assure the highest quality of life for each Highland. The meat produced from Scottish Highland cattle differs significantly from Angus beef, as it is higher in protein and lower in fat and cholesterol. In order to protect the quality of the meat and reduce the stress placed on the cattle, the animals are slaughtered on the ranch rather than being sent to an off-site slaughterhouse. Once slaughtered, the meat is then custom cut and wrapped to customers’ specifications. For those interested in learning more about Jim, Carol and Gryphon Ranch, head over to the farm to meet the animals or watch this video. Gryphon Ranch has been expanding their customer base through online promotion on their website, Eatwild.com and the American Grassfed Association and Certified Humane sites. Additionally, in a close-knit community like Globe, AZ, word travels fast about the high-quality meat being produced on the ranch, sending new customers their way each year. Since Gryphon Ranch does not send their animals to commercial slaughterhouses, federal law dictates that the customer must make all purchases direct. This system allows the ranchers to establish strong personal relationships with each and every one of their customers.